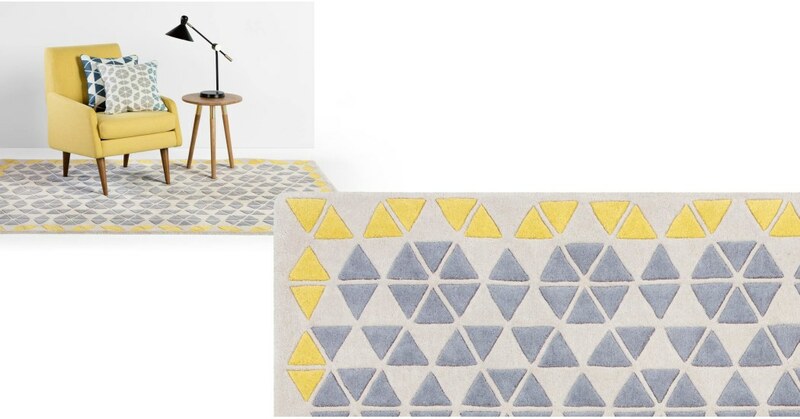 Designed by Genevieve Bennett, this contemporary rug plays with geometric patterns and imaginative colours. Her cushions have been bestsellers, so we think you’ll love this. Super-soft and springy underfoot, this rug is made for sinking your toes into. Made in India with time and love; each shape is hand-carved, for a result only a true craftsman could accomplish. Trio is 100% wool. Pair the rug with the matching cushions for a playful, three-dimensional look in your living room.